Hey, everyone! I hope you are all enjoying your weekend. 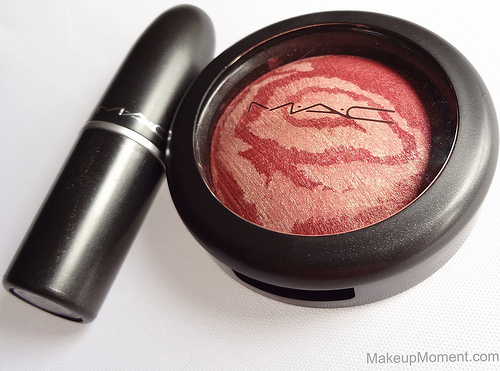 I recently ordered a few items from MAC's latest collection, Heavenly Creature. I was just in awe, when I saw the collection. Everything looked really great but, there were two specific products that stood out to me most. 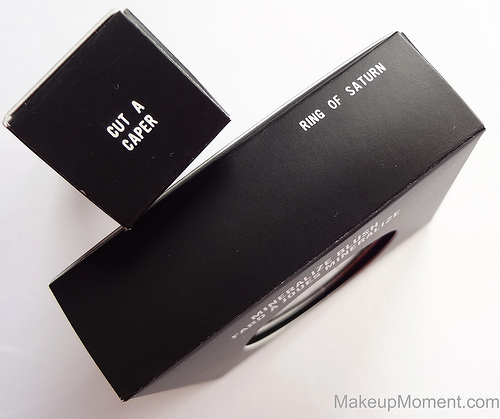 Those products were the Mineralize Blush in Ring Of Saturn ($23.50), and Cut A Caper lipstick ($14.50). 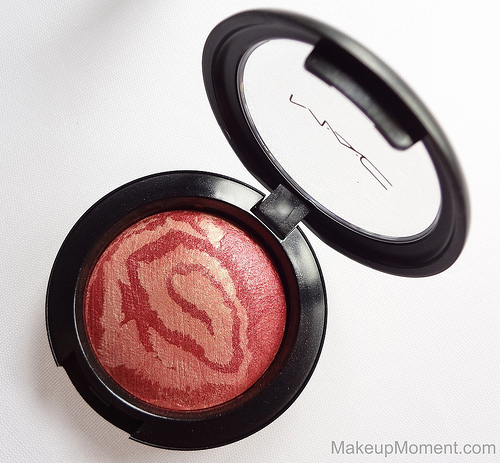 MAC Mineralize Blush in Ring Of Saturn: I definitely don't have anything like this, and it's a beauty to look at. Ring Of Saturn is a gorgeous golden shimmered peach, with a soft reddened pink swirl to accompany it. Very interesting combination of colors and tones, I think. When swirled together, both colors create a stunning golden peach, coral shade that's very flattering, when applied to cheeks. Looks natural, too. 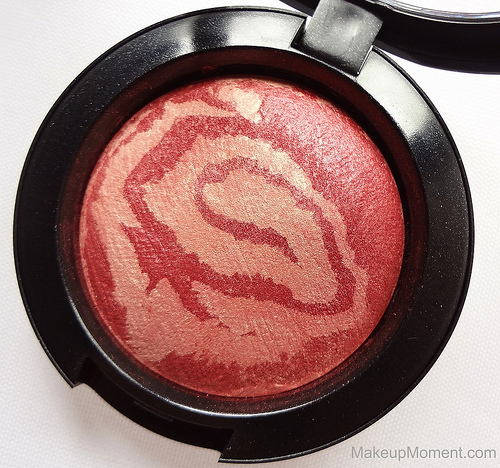 I have owned only one mineralize skinfinish blush (warm soul) and, I simply adore it's smooth texture. Ring Of Saturn being no exception. 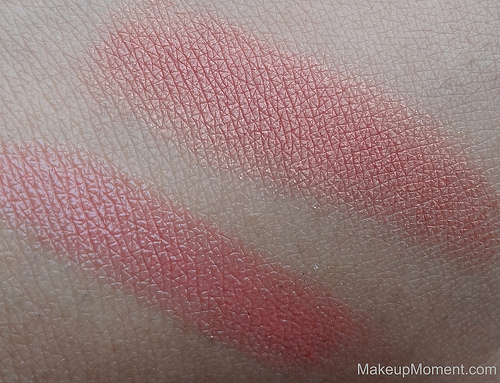 The consistency of this one is lovely, and the pigmentation is just as nice. A little goes a long way, but you can easily build on the color, if you wanted. 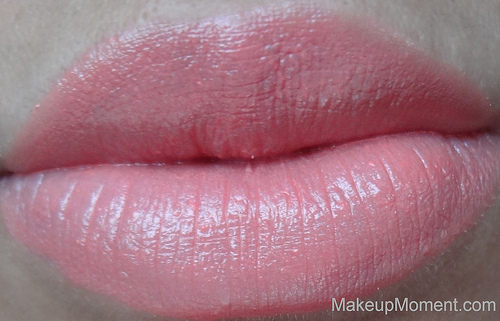 MAC Lipstick in Cut A Caper: Yellow toned pink/peach. This lipstick is probably one of the nicest I have tried, in awhile. I am very excited to finally have this much raved about coveted beauty, in my possession. 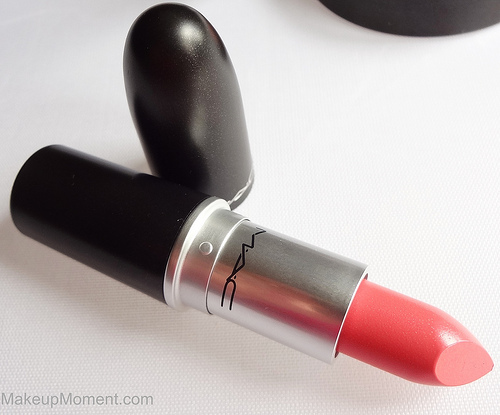 The color is lovely, and the texture is pleasantly creamy, making application a treat. This does contain a lustre formula after all so, the fact that this lip color is smooth and creamy is no surprise, really. Cut A Caper is super flattering on and I just love the shiny finish that this lip color imparts on my lips. Very pretty! I noticed that this color goes on sheer at first, so a few extra layers is definitely required, to achieve color intensity. I have no doubt that Cut A Caper is going to be one of my staple, summer lip colors. I love it! Overall, I am very pleased with these two items and, I think they are absolutely perfect to use for these summer months. 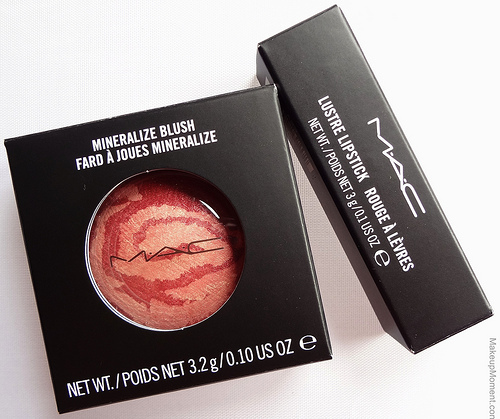 Unfortunately, both of these items seem to be sold out on the MAC website so, you may have a better chance of obtaining these at a MAC counter, or store. I purchased both products on the Nordstrom website and as of now, Cut A Caper and Ring Of Saturn are still available, on there. So if you are interested, order these ASAP. Especially, Cut A Caper! What do you all think of the Heavenly Creature collection? Did you pick up anything from this collection? I love the look of this collection & hope there are still a few pieces left by the time i make it to a counter.Ring of Saturn looks really pretty & the lipstick looks like a colour id get alot of wear out of too. Really cute. I couldn't agree with you more, Jazmin! 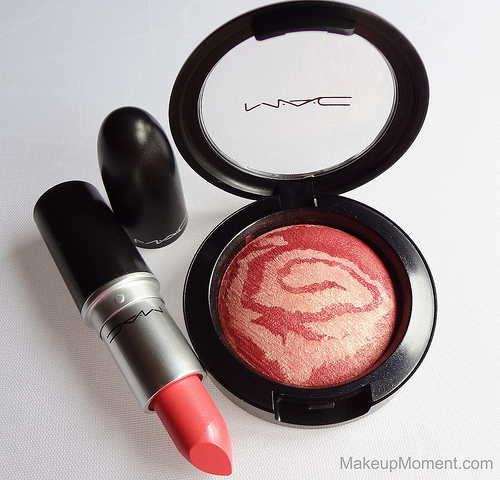 The blush is super pretty :) Are you gonna pick up anything from this collection?